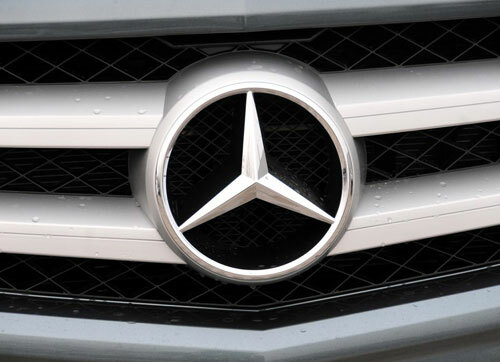 Home /Economy/Business/Mercedes Brand Wins in China…but not in Chinese! Not only will Mercedes victory in this year’s China Grand Prix take the motor racing world by surprise, it will also boost even further the brand value across China and should do more for the popularity of Formula 1 and motor sport in general than any other team victory. Mercedes remains one of the most symbolic, prestigious brands on mainland China where consumers relish the opportunity to be seen driving this status symbol. China is Mercedes third largest market and will in the not too distant future become the number one market, such is emotional value attached to this brand by the vast majority of Chinese consumers. With a Grand Prix victory now in China, millions more Chinese consumers will be even more eager to take possession of a Mercedes car. Mercedes Formula 1 success will also prove an invaluable association, in a country where motor racing is still relatively unknown. The China Grand Prix remains little more than a statement of China’s economic intent. Attendance is an issue as is interest in the event. Mercedes, however, along with Ferrari is one of the few brands that could galvanize both the event and motor sport in China generally. For even more impact in China and with the Chinese public, however, Mercedes need to respect the fact that the majority of Chinese people actually use a rough transliteration of the ‘Benz’ part of the full ‘Mercedes-Benz’ corporate brand name. So, the Chinese actually use Ben(1) Chi (2) when talking about this most respected global brand but even at the China Grand Prix (where you would expect a larger Chinese race-side and TV audience) Mercedes continue to use the English version of their corporate brand name only. Somewhere on the car and drivers’ fire-proof kit (and all other track-side merchandizing), there could surely be space found for the Pinyin, Ben(1) Chi(2) and the Chinese characters, ‘奔驰’. Not only would this resonate with Chinese people, it would also demonstrate respect for different cultures and enable Mercedes-Benz to promote itself as a truly global brand, responsive to local cultures. The characters ‘奔驰’ [Ben(1)Chi(2)] also translate to ‘running fast’, excellent for brand association and consequently, brand meaning. Even more reason to promote the name in Chinese and English and not just perhaps at the China Grand Prix. Basketball remains the preferred sport for younger generations across China but this a lot to do with the success of Yao Ming in the American professional basketball league. Of course, a Chinese Formula 1 driver is exactly what the sport needs if it is to grow in China but a Mercedes win will also create an awareness and enthusiasm that the sport has lacked in China. Perhaps the next step in Mercedes brand building is to recruit and develop a young Chinese driver with the potential to become a Formula 1 title contender in the not too distant future. Such an association will do wonders for Mercedes already powerfully and emotionally positioned brand among Chinese consumers and there is nothing the competition can do about it. Those automotive brands who have pulled out of Formula 1, such as Ford, will now be regretting their decision. What is the English version of the brand name? I know that “Mercedes” is the original German version. Or is this the usual thing that anything written in Latin script is called “English”?